J.F. Metzsch is one of the more interesting German hausmaler or outside decorators, who had a workshop in Bayreuth. Various hands are associated with this workshop of which this is one of the finer and quite probably by Metzsch himself. 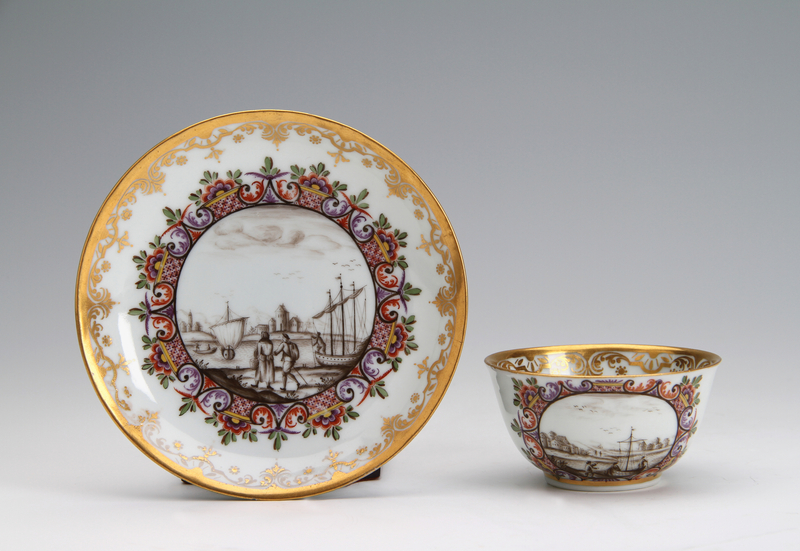 It is uncommon to find this type of decoration on Chinese porcelain, it is more often found on Meissen porcelain. The bowl 3.7 cm. 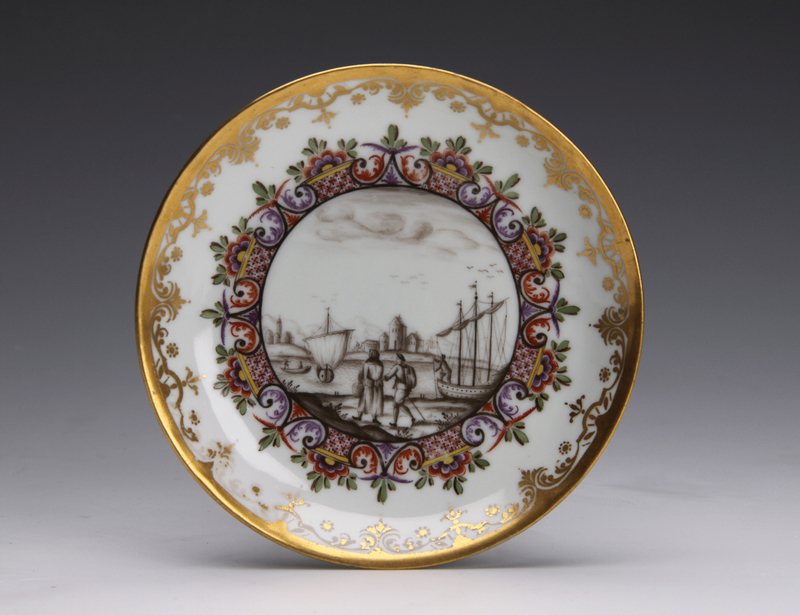 high, the saucer 10.7 cm. diam. Condition – Chip to outside rim of teabowl. A 1cm. hairline crack to rim of saucer.